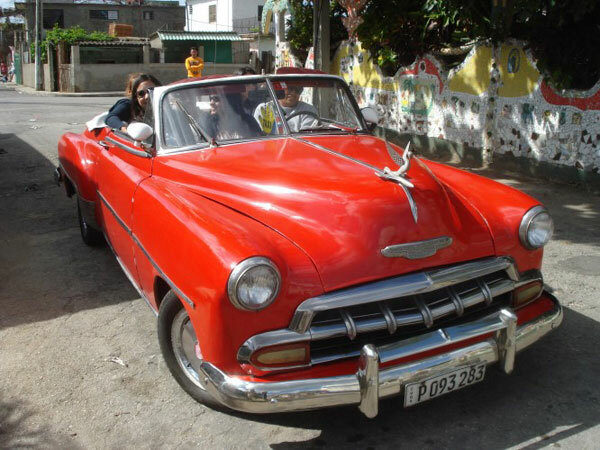 I had the opportunity to see the cars of Cuba in February of last year on a “people to people” or “humanitarian” visa. 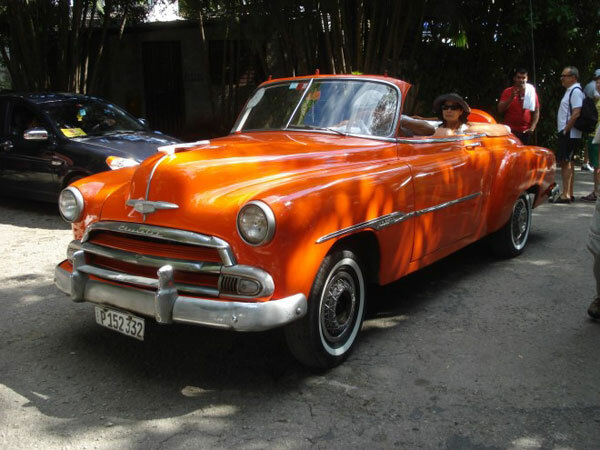 We flew directly from Miami into Havana– it was a real step back in time. 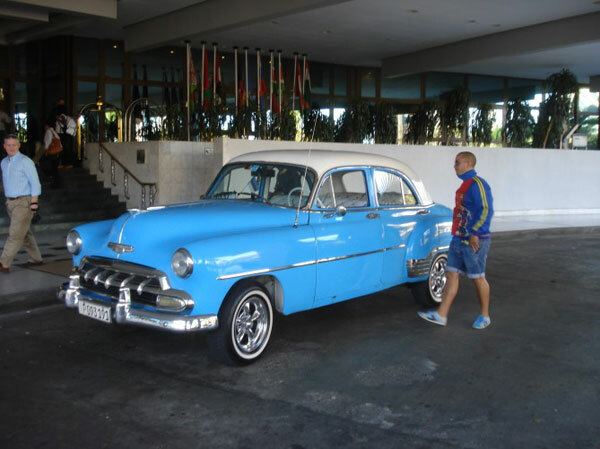 I found the Cubans to be very interested in talking to Americans– especially about their cars. 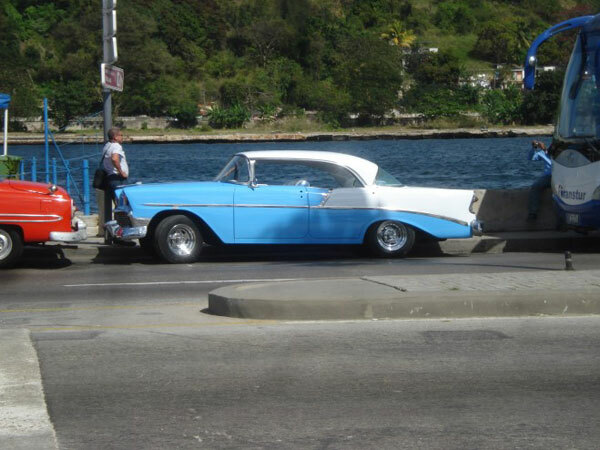 My 1962 Impala convertible happens to be newer than most of the cars of Cuba, certainly the American-made vehicles (which are primarily GM vehicles, mostly Chevrolets). 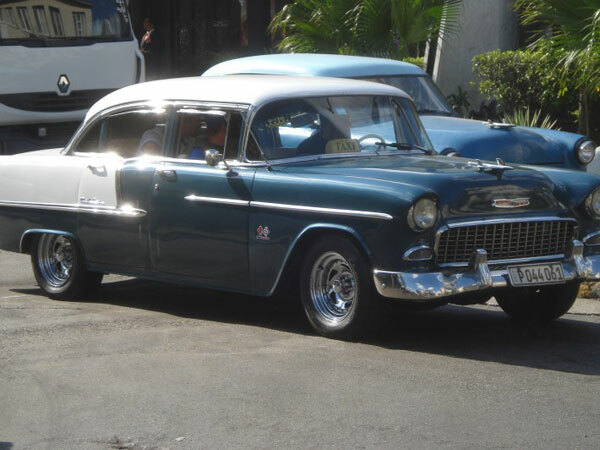 I hope your enjoy these photos of cars that I saw and traveled in during my visit to the island. These people are very ingenious and keep these cars running very well. I rode in a 1952 Mercury convertible which, according to the owner, still had the original engine and automatic transmission. The owner did not know the miles on the vehicle since the speedometer quit working years ago. Yes, I saw plenty of cars on blocks or just flat on the ground, but the majority of them were in reasonably good shape. I also spotted a couple of cars with both American and Cuban flags flying. 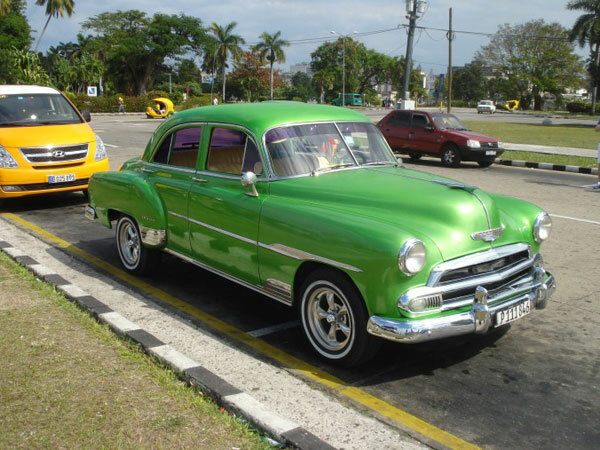 There are taxis everywhere in Cuba. A possible reason for this is that the Cuban government charges six dollars a gallon for gasoline with a discount to taxi drivers. Many of the cars have also been converted to diesel since that fuel is cheaper there. 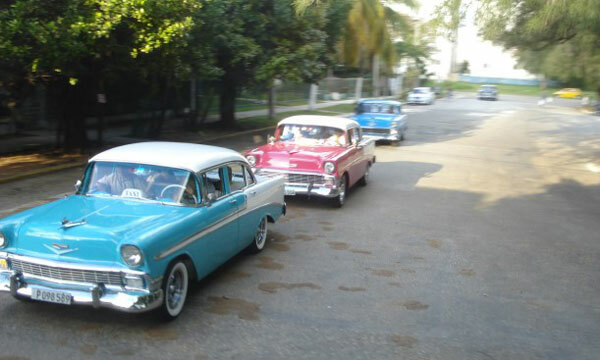 I last visited Cuba in 1957 while in high school and actually found very little difference over those 50 plus years. We enjoyed the Tropicana Nightclub and I’m not sure the show has changed much over the years, just more glittering lights. 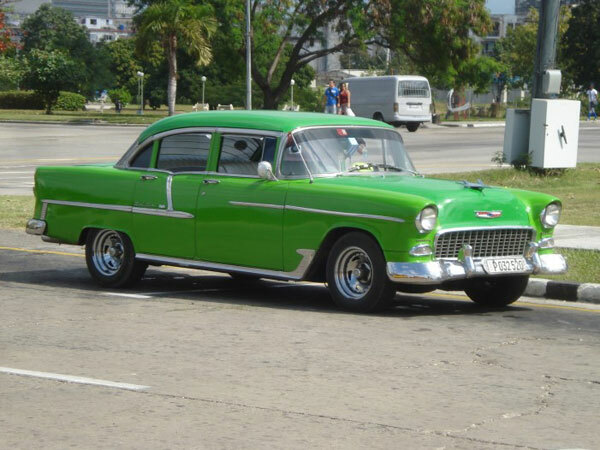 But the cars you see everywhere on the streets are a real gem! If you have the opportunity to visit the island, you should take it! The people are friendly, the infrastructure is weak and somewhat deteriorated, but they do the best they can. As of this writing, there are several U.S.-based airlines that are working on establishing flights to Havana.